Parents and students participate in Junior Achievement Biz Town. 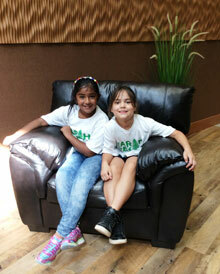 Volunteers assisting with furniture setup at the new school. 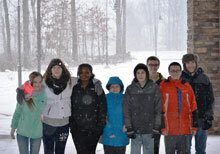 Students enjoying the winter weather at the Ten Mile Run campus. Getting ready for an awesome assembly. Students visiting the Francis E. Walter Dam in Bear Creek Township. Relaxing in the Commons in between classes.